Here you’ll find a list of aparthotels and cheap apartments perfect for your stay in La Gomera. Find the perfect establishment for your holidays, compare prices and book online. 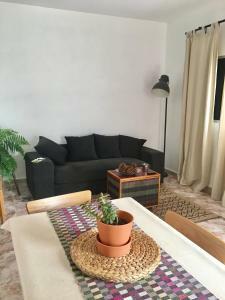 The apartments in La Gomera are a great option if you’re traveling with friends and family as it might be much more economic than a hotel. The aparthotels might also be perfect for this kind of trips as they offer all commodities from an apartment with the facilities of a Hotel. Mark the dates you wish to stay. Choose the type of establishment and/or minimum conditions you’re looking for. Click Search and compare apartments in La Gomera and their prices. When you find the perfect offer book now and avoid missing it.